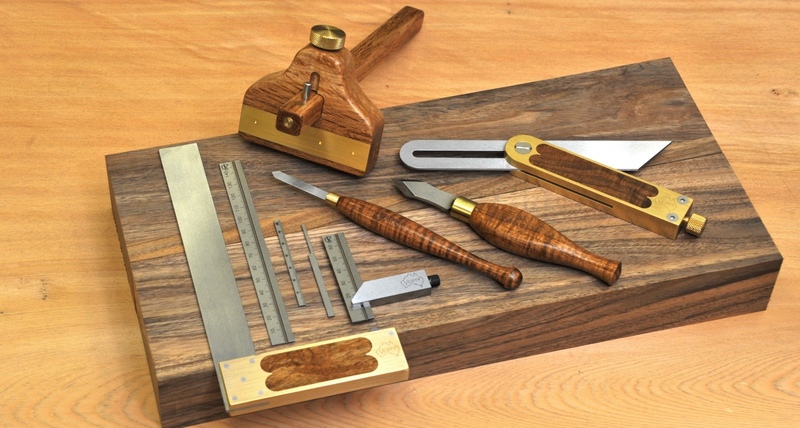 These two sets are offered perhaps for folks starting out in their woodworking hobby and looking to start with the best tools possible. 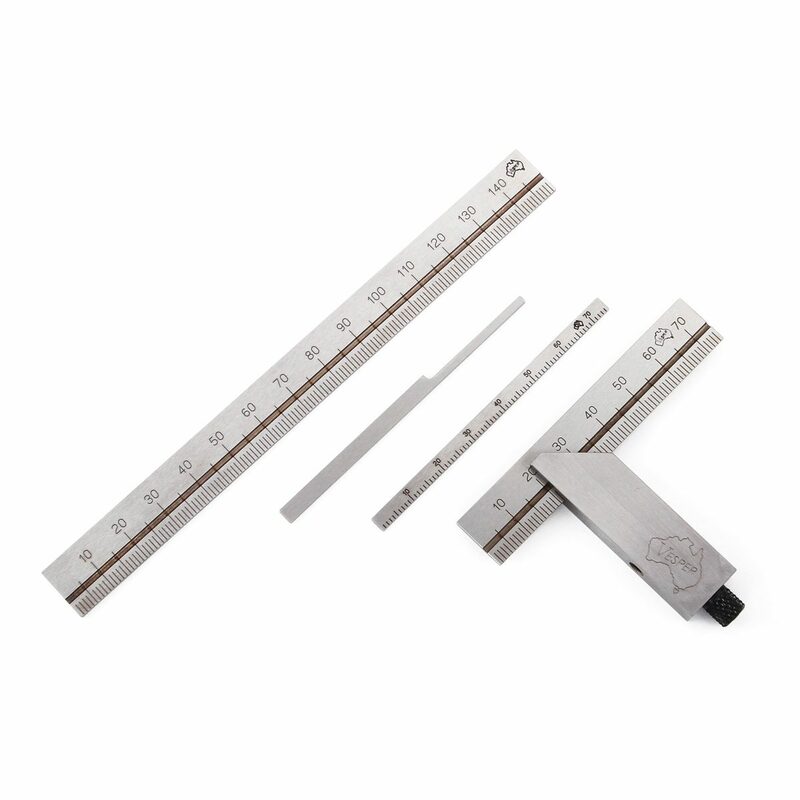 These fundamental tools are required for every day use in the workshop for measuring and marking. For details about each tool please refer to the individual tool's web pages. 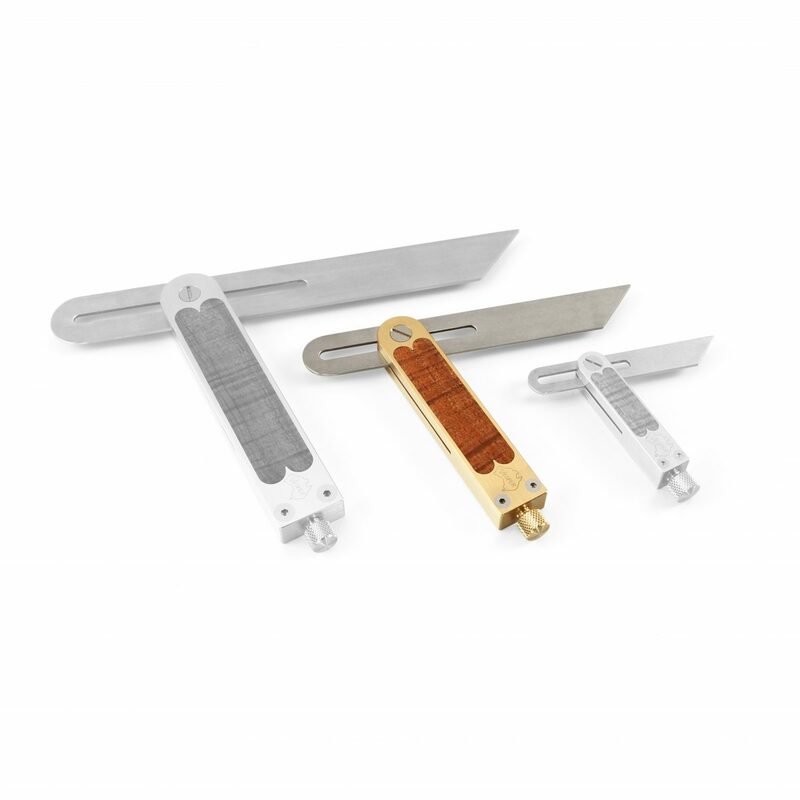 Precision Double Square, with extra notched 'Mini-blade', metric OR inch. 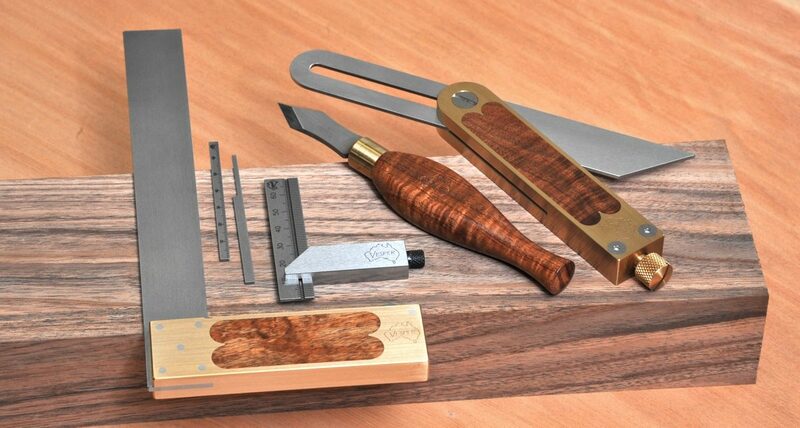 Pricing on this kit represents a 12% saving: Price of individual tools is $1040 AUD. This is $125 off the individual regular price of the tools. 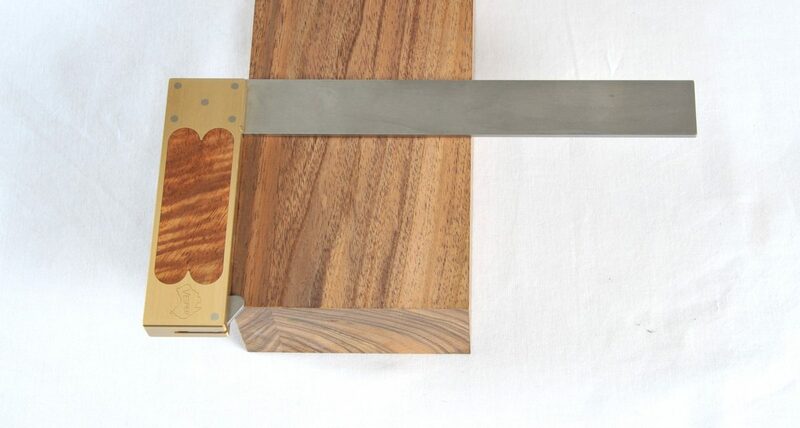 Precision Double Square with notched mini-blade and 150mm long blade. Metric OR inch. Cohen Knife in Blackwood, regular 0.9mm thick blade. Pricing on this kit represents a 12% saving: Price of individual tools is $1170 AUD. This is $140 off the individual regular price of the tools. 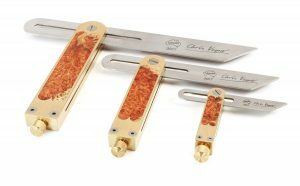 The #2 kit is available without the Cutting Gauge (CG) until further notice at the listed reduced price of course. The CG is out of stock. Cutting Gauges have no set date for completion as I am many months behind tool production goals. The gauges need to be completed urgently but it will be a matter of scheduling in this time consuming process, could be a matter of years not months. Apologies for this. 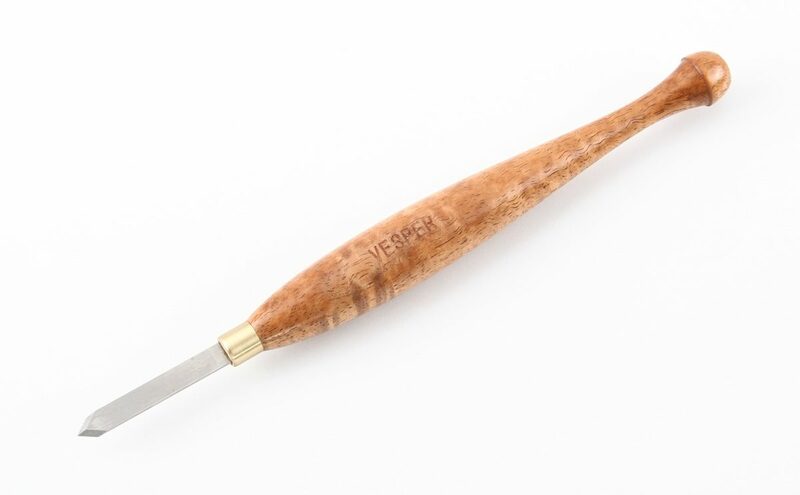 Thankyou for your understanding and appreciation of hand made tools. NOTE 1: 10% Student discount not applicable here. 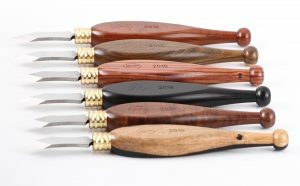 NOTE 2: These kits can be bought in person at Wood Shows and Hand Tool Shows within Australia and you get a can of the brilliant but can't-ship-because-its-flammable G-15 Antirust for an extra $10. 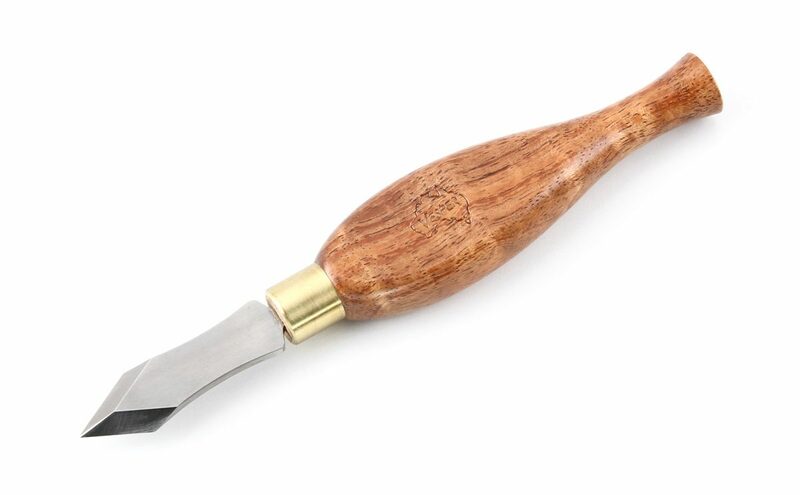 NOTE 3: The kits are slightly flexible if you want to substitute a different sized bevel or square or knife. We simply adjust any price difference accordingly so you still get the same level of discount. Blackwood infill only. 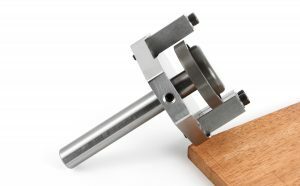 Kit discounts are not applicable to Non-infill tools (brass only or Aly only), No discount applicable to Premium Range/Signature Series, or other special tools.